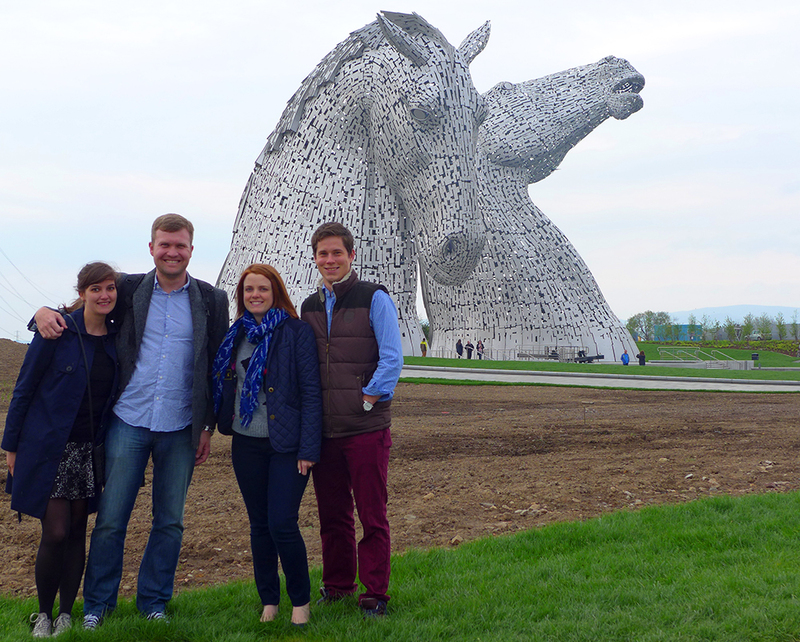 Last month, The Kelpies – two massive horse head sculptures – trotted into Bryant Park as part of Kilt Week, and I loved them. 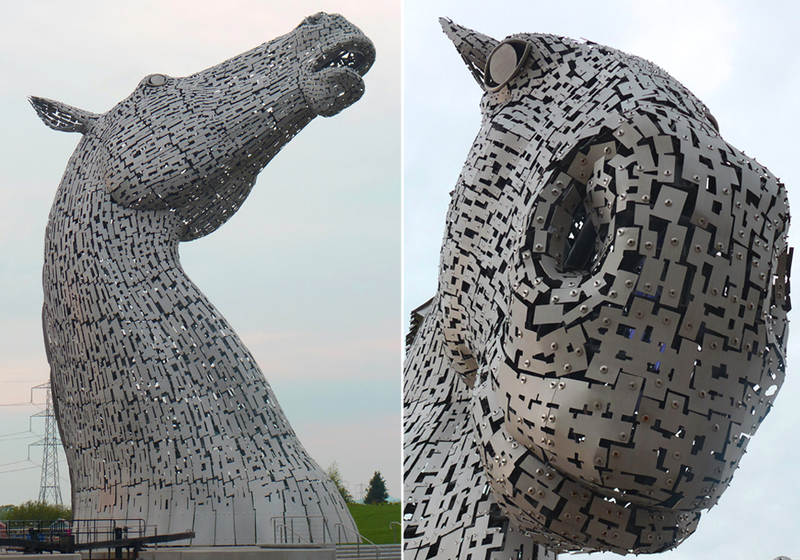 But while they were impressive, they were actually just small versions of much larger sculptures standing in Falkirk, Scotland. So when Lindsay said she would take us during our visit this week, I was very keen. And you know what? They’re huge. Like, I-can’t-really-get-my-head-around-how-these-exist huge. 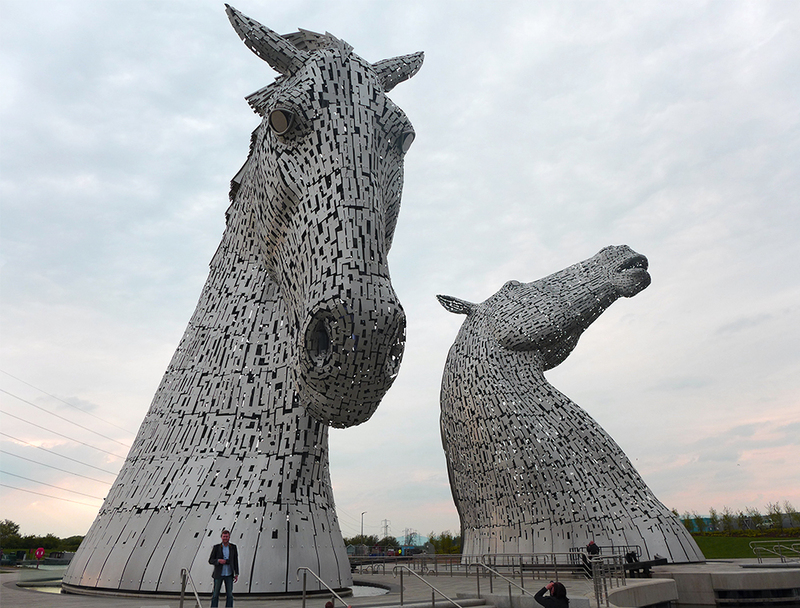 The 100ft sculptures are the creation of Glasgow artist Andy Scott, who worked on them for eight years before they were completed at the end of last year. 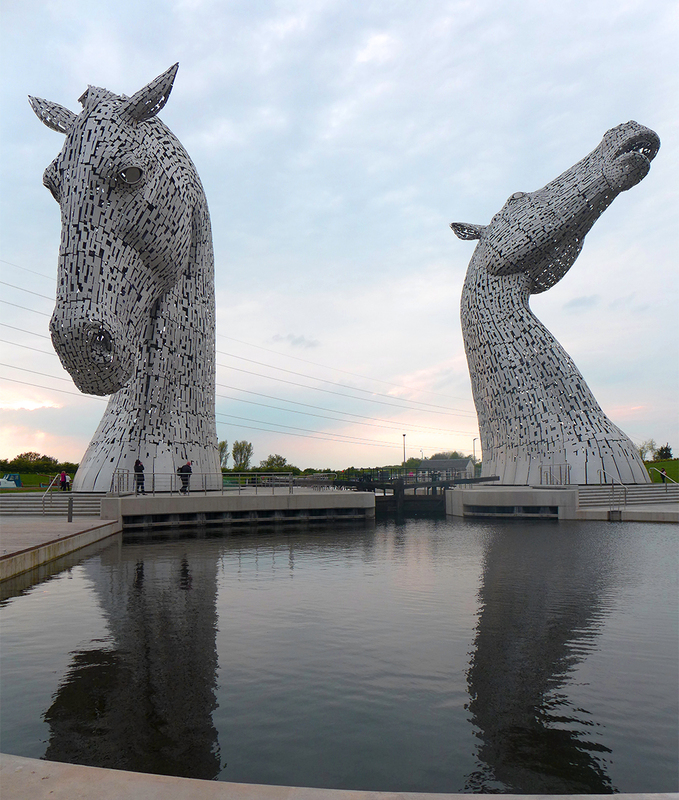 They take their name from mythical water horses said to live in rivers and lochs, but they’re also a nod to the horses who pulled boats along Scotland’s canals. 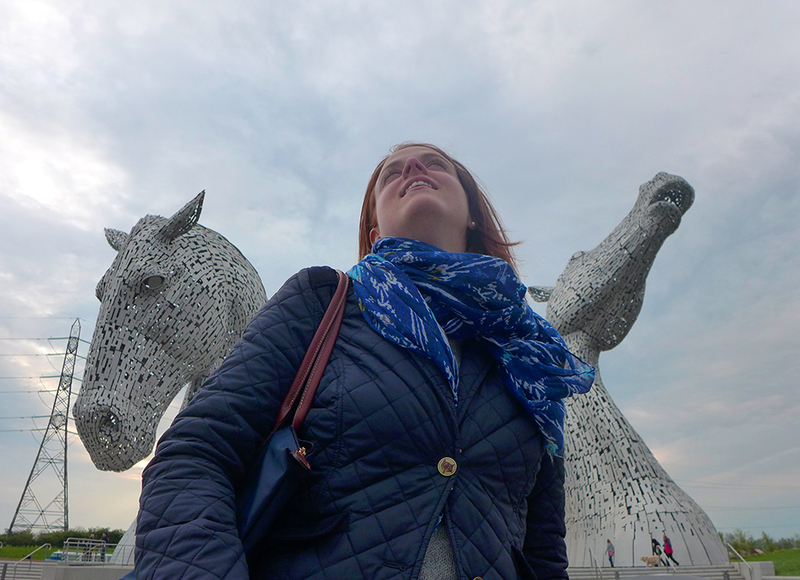 We wandered around before starting a new trend: Kelpie-ing. 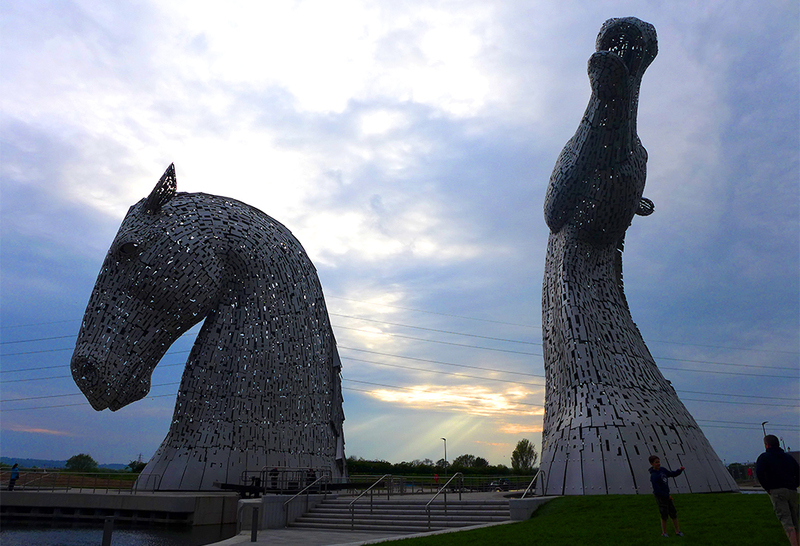 Although The Kelpies are open, the surrounding park is still being landscaped, so there are patches of dirt and unfinished walkways. But when the park and its nearby visitors center are finished and speckled with flowers, I can see it will be even more breathtaking. This is awesome. After seeing them in NYC last month, I love getting a glimpse at the actual sculptures! Glad you got to see them and thank you so much for sharing!